ERS’s high-performance transaction management and collaborative communications technology permits fast, accurate customer switching to provide new business revenue streams quicker than ever before. When a contract is loaded ERS identifies whether there already exists other contracts that share the same master customer Account Reference. If this is the case the ERS system associates the new contract to the existing customer details, otherwise, if there are no existing contracts a new master customer record is created using the new contract’s preferred billing party contact details. 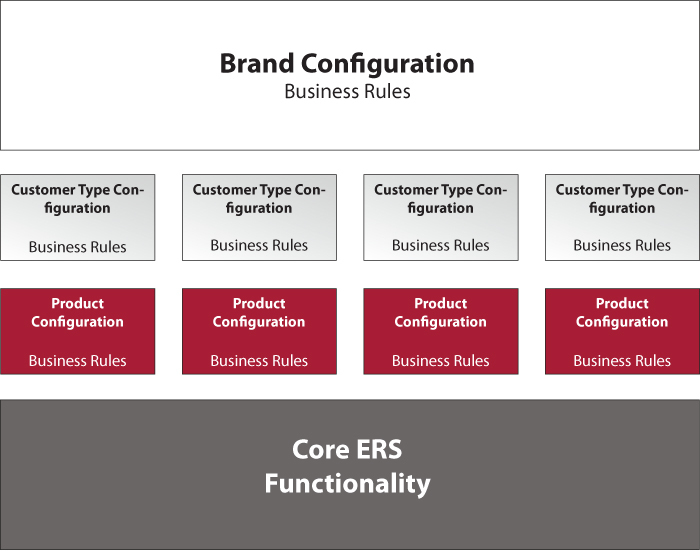 Master Customers in ERS have two properties that condition the customer segmentation within the system and how the business interacts with the customer. These are the Customer Type, which is either I&C or SME, and the Servicing Model, which is either Standard or Bespoke. The processing of new contracts can be conditioned on the basis of the Sales Reference (the sales channel/originator of the sales) that they have been contracted by. ERS can either create and send your welcome documentation automatically or create it for the manual creation and sending based on the Servicing Model defined for the Master Customer (Standard or Bespoke). The welcome pack is a Contract level document based on a business defined template and can contain information from the Master Customer, Contract or MPANs associated to the Contract. All documentation created and sent to the customer is automatically generated based on workflow and is subsequently visible in the system. ERS provides access to master customer, contract and supply data in a hierarchical fashion. At any point in time prior to a supply being registered a user may view the progress of the supply in the context of the master customer, contract or directly at supply level. Having created a contract in the system the contract data is validated for completeness before progressing to registration. The registration of the individual supplies that are associated with a contract is triggered when all required contract data has been entered and the current date is within 28 days of the contract’s proposed start date. Each Contract may be flagged to be processed using automated or manual registration (based on the Servicing Model that is attributed to its customer) and to send agent appointments either on receipt of the registration request confirmation (D0217) (Agent Appointment on Registration Request Confirmation), on successful registration of the supply (Agent Appointment on Successful Registration) or at one or the other of these depending on the length of time remaining to the proposed contract start date (Time Dependent Agent Appointment). These settings determine the level of automation of the registration process and when agent appointment flows are sent for each of the contract’s supply points. Time Dependent Agent Appointment for all contracts. The ERS system caters for the industry standard registration process for NHH and HH SVA metering on Change of Supplier as outlined in BSCP501. The registration process is highly automated, requiring user involvement to manage exceptions.